Through tragedy, corruption, friendship and love, Mimmo Calopresti’s characters forge through life with dignity and hope. Born in Calabria, raised in Torino and currently living in Rome, Calopresti is known for his direct style of filmmaking that treads finely between reality and fiction. Often drawn from his own point-of-view, he documents life-changing events whether tragic or historic. Calopresti began his filmmaking career with documentaries and short films and then in 1996, made his feature film debut with La Seconda Volta (The Second Time) starring Nanni Moretti. 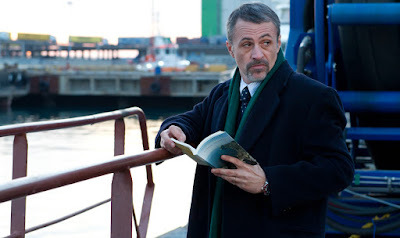 He followed up with two successes- the 1998 drama La parola amore esiste (The Word Love Exists), which recounts the obsessive love of an emotionally fragile woman, and the 2000 film Il rumore del mare (The Sound of the Sea), which was most likely taken from Calopresti's own life experiences. The story of two teenagers on the verge of adulthood and discovering their independence, Rosario, from the south of Italy goes to live in the north, thanks to his friend Luigi, also from the south but working in Torino. He wants to give Rosario a chance at a different way of life. Calopresti recently presented a selection of his works at the Eastman Museum in Rochester, New York. The screening was organized by filmmaker and professor Elisabetta Sanino D'Amanda of the Rochester Institute of Technology. I caught up with him after the screening and asked him about his own experience of having origins in the south while living in the north. 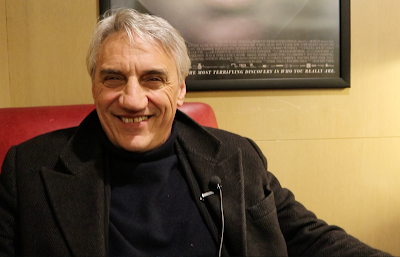 He mentioned the significance of his film's title, Il rumore del mare. "The title of my film, Il rumore del mare was born from the poetry Lavorare, lavorare, lavorare (“Work, Work, Work,” a famous poem by Dino Campana). Torino has always been a place of work. My father worked in a factory. I don’t mean it as a negative thing. It was positive. The south is the joy of my childhood. The sea. I prefer the sound of the sea. My life has always been divided into these words- busy working and being in the middle of beauty. I’ve been very lucky having two directions, two possibilities of living different ways of life. Now I live in Rome but when I return to the north, I find a different Italy. There are two Italys- the North and the South are still divided. 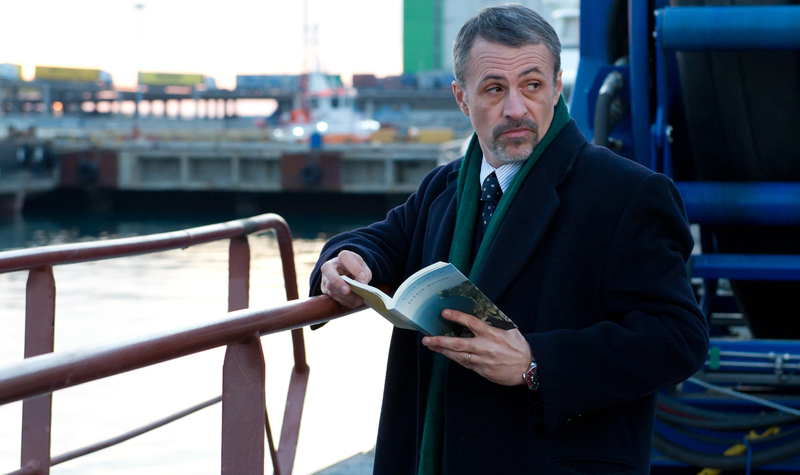 The autobiographical tale La felicita non costa niente (Happiness for free), which he presented at the 2003 edition of Lincoln Center's Open Roads: New Italian Cinema, follows 40-year-old Sergio after a near death experience opens his eyes to his mortality. This awakening reveals some hard truths that he must face. So he decides to just leave it all behind and start over. Before long, he realizes that the grass isn’t always greener on the other side. His second Open Roads presentation, which he also presented at the Eastman Museum, was the 2009 film La fabbrica dei Tedeschi (The German’s Factory), which features vignettes with a number of actors including Silvio Orlando and Valeria Golino. Following the aftermath of a deadly fire that took place in 2007 at the ThyssenKrupp, an iron and steel plant in Torino, the film traces the lives and moments leading up to the evening in December when tragedy struck. Calopresti talks with family members of the victims, who are visibly in mourning, but looking for justice as they recount the factory’s known safety concerns and dangerous working conditions. A fascinating work is his 2016 documentary, La Fabbrica Fantasma, which speaks to the growing global problem of counterfeit products often containing toxic materials. Calopresti travels through Italy and Europe, visiting the ports where the merchandise arrives often from China, and then to the stores and outdoor markets where the items are sold. He delves into the financial motivation behind the growing phenomenon and iidentifies the characteristics which validate a product’s authenticity, revealing if it is indeed a fake. It’s a timely, important film to see especially if you have children as toxic materials are often used to make counterfeit toys and dolls. The closing scene is especially poignant and poetic as we see the world through a child's eyes. She is protected and nurtured, playing with dolls in a museum while statistics of the counterfeit industry and its perils are displayed on screen.